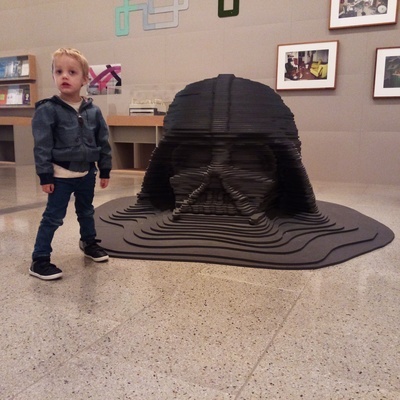 Have you paid a visit to the Ian Potter Centre: NGV Australia lately? I did recently and found some interesting nooks to explore with Mini KidTown. "Model for a sunken monument" (1999) by Ricky Swallow. I don't know about you, but I find that I don't visit NGV Australia in Federation Square as much as I should. Maybe this is because the "big name" art and fashion exhibitions take place at the NGV International and therefore I frequent the National Gallery of Victoria's oldest gallery on St Kilda Road most of the time. 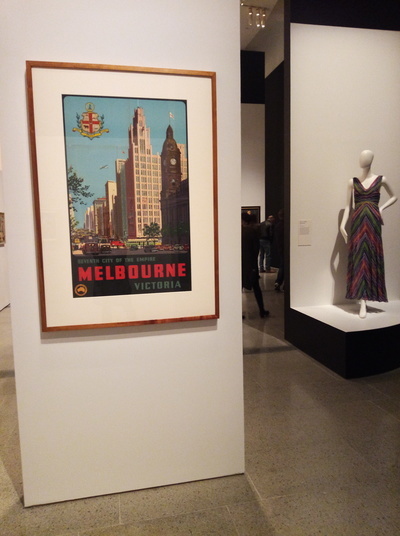 Having said that, in recent years I've thoroughly enjoyed the Mid-Century Modern furniture exhibition and the 200 Years of Australian Fashion display, which both pulled in large crowds for all the right reasons. The newest exhibition to open at the Ian Potter Centre: NGV Australia is the Brave New World Australia 1930s. On till 15 October 2017 this exhibition presents art, fashion and industrial designs of the 1930s; a turbulent time in Australia's history. The pieces on display here reveal some of the social and political subjects endured during an inventive period in-between two world wars. Also present at the Ian Potter Centre: NGV Australia is a collection of vibrant works by Australian artists created in the 1990s. Every Brilliant Eye is named after a 1990 music album by Australian band Dead Pretty and presents an overview of art made from 1990 to 2000. 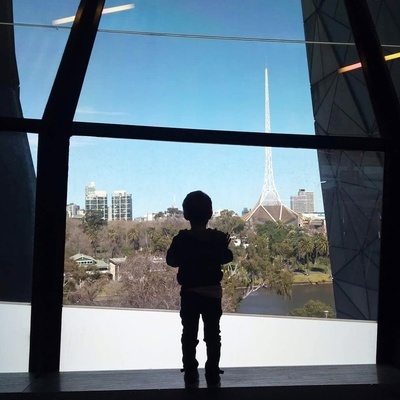 We also happened upon a rather excellent and what seemed like a 'secret' lookout point whilst walking through the exhibits at NGV Australia. "How beautiful" exclaimed Mini KidTown, and he was right. 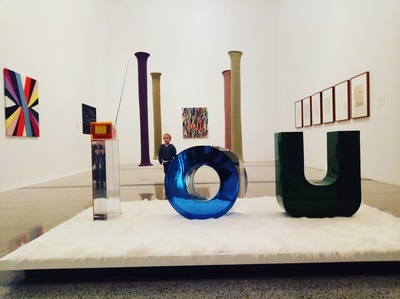 Do pay a visit to the Ian Potter Centre: NGV Australia if you find yourself in the city. Tickets to the Brave New World exhibition are just $12 for full priced tickets, $8 for concession, $30 for a family. Otherwise it's free to enjoy the current Every Brilliant Eye exhibition. 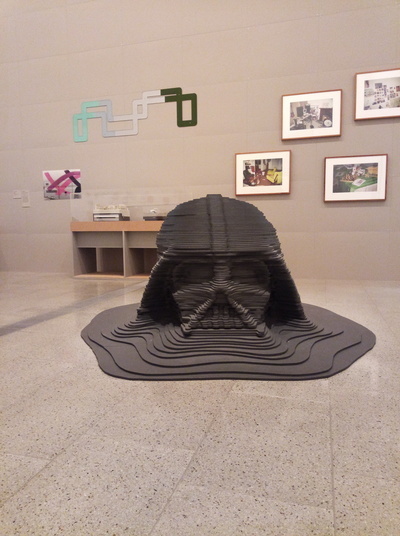 Keep up to date with all of the happenings at the Ian Potter Centre: NGV Australia here. Where: Ian Potter Centre: NGV Australia, Federation Square, Melbourne.